This one was a little hard to get. 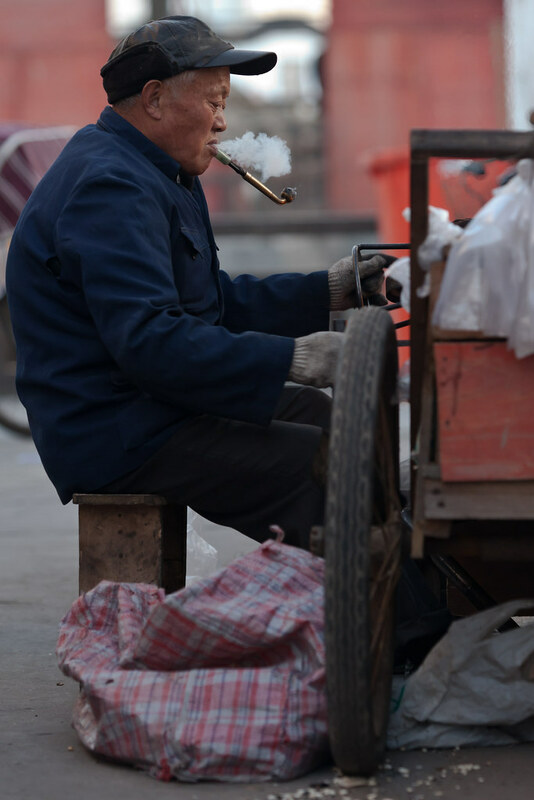 The man's concentration and pipe smoking caught my attention. The challenge was to find the right angle at a place where I wouldn't draw too much attention. Luckily, Qibao (a touristy river town in the southern part of Shanghai) gets somewhat crowded. A found a spot up against a wall and took advantage of the long focal length of the lens I was carrying (140mm on the 70-200 2.8).